Drug addiction and the yearning for an "artificial paradise" isnothing new but only recently has this become a really acute problem, and there is today an urgent need for information on every aspect of drug-taking. It is essential that not only doctors and psychiatrists, social workers and teachers, but also the general public (in particular parents as well as their children who are the most vulnerable) should understand the psychological needs of drug-taker, the nature of different drugs and their effects. It is especially important that those who administer and interpret the laws relating to drugs -- police, magistrates, lawyers -- have a clear and accurate background of knowledge against which they operate. All About Drugs lists separately most of the drugs known to be in use today and gives their origin, history, chemistry, ways of consumption, effect and potential danger. It also investigates the methods of acquiring drugs legally, and in some cases illegally, and what is being done to prevent drug-pushing and to help its victims. 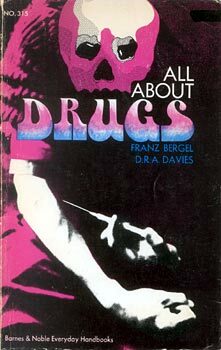 This is a book that fulfills an immediate need in a field where ignorance and prejudice are often as much a danger as the drugs themselves.